David Dimbleby is joined in Glasgow by Liam Byrne, Baroness Warsi, Julia Goldsworthy, Alex Salmond and Sir Martin Sorrell. Scots editions tend to be a bit Celtic focused. I doubt the BBC lawyers will let any Purcell / Mafia questions through, but maybe the contracts without tendering ? Usual rules -up to 6 guesses. Bonus points for correct phrases used or tangents touched. Winner gets to remove or add an item from the latest budget. New Cameron baby. Was it planned for May 1st? Should Members for English constituencies have voting powers over Scottish affairs on the same scale as MPs for Scottish constituencies have over England? Should Trident bases be removed to the Thames estuary? Should Scotland's relationship with the European Union be revised to be similar to that of Norway? Has the extensive Italian immigrant settlement and their descendants in Glasgow produced an Italian-style political culture? Should the budget have been preceded by a general election? Will there really, really be two modern aircraft carriers built in Scottish yards before 2020? And if so, what for? Mr Quango you are prostituting yourself as a peddler of influence again ! 1) Hollie Greig - why not top of the agenda ? 2) Donal', whar's yer Troosers ? 3) Gordon, whar's yer Scruples ? 4) Clan Cameron - still Jacobites ? 5) Saving money by making NHS workers actually show up - what is Darling smoking ? Should SNP work with a Tory minority Government/hung parliament - nice and partisan. Strikes - Howling at the moon, its all the rage? Thatcher - Still alive, still evil, still mother of David Cameron? As you can see, I have moderated substantially my views on BBC bias in an attempt to win this week. 3 - Should Foreign Billionaires be disqualifed from owning British newspapers? 4 - Is it acceptable for Edinburgh University to discriminate against English Students? 5 - Should lobbying by ex-MPs be banned? 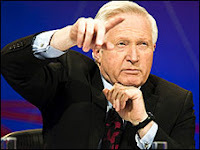 6 - Should the SNP leader be invited to the Party leaders' debates on TV? * MP lobbying - Assembly lobbying? * Tony Mowbray - about time? 1} Budget was a time for action that has been missed. 2} Debt is lower. Should we Trust Labour? 3} Who would the SNP support in a hung parliament? CU - Name Sam Cam's baby. Great idea for the weekend quiz! 1. The Pope and noncing: is it time for a new Savonarola? 2. Local Sherrifs and noncing: is it time for a clean sweep of the administration? 3. Does Geoff Hoon know what his name has become synonymous with? 4. Will the SNP take Scotland into the Euro? 5. When will Al Magrahi die? 4.Is it right for the KGB to buy the Independent. 5. Was the MP sting a Blairite pruning set up by Balls' black ops team? Q1. Someone has finally noticed that what Labour says and what it does is different. Darling reveals the REAL cuts. Is it me or does Warsi look like Kirsty Allsop's sister? Labour's message unravelling. Why did Gordon choose to campaign on the economy? Comfort zone? Salmond says axe Trident! Well that's that then. Q2. Strikes... No they won't bring down a government thats already on the way out. Liam mentions 1980's strikes, skipping the 1970's when the dockworkers pulled down the labour government. An audience member just mentioned it. Q3. MP sleaze and a link to fag end governments. Tory/Labour. Liam says ministers diaries should be open! This from the man trying to stop lobbydog! Q4. Should SNP be on leaders debates? Even for a plant it was a good question, one should have seen coming. Dull, dull Q/T. Must try a new format. Maybe vote of panelists like the weakest link. This weeks winners who now have to add or remove something from the budget are Hatfield Girl and Botogol. Well done. HG - You know your fashion. Why did Julia Goldsworthy go on the panel dressed for Iraq? Not a great show I agree, I went to bed before the end. Martin Sorrell was very subdued. my prize .. a chewing gum tax, £1 a piece, all proceeds hypothecated to street cleaning. A vote winner if I ever heard one. I can only explain how I dress - though people might be more keenly aware that everyone else draws immediate conclusions from what we've got on. Flat taxes, she said flatly. Should England's relationship with the European Union be revised to be similar to that of Canada or New Zealand?